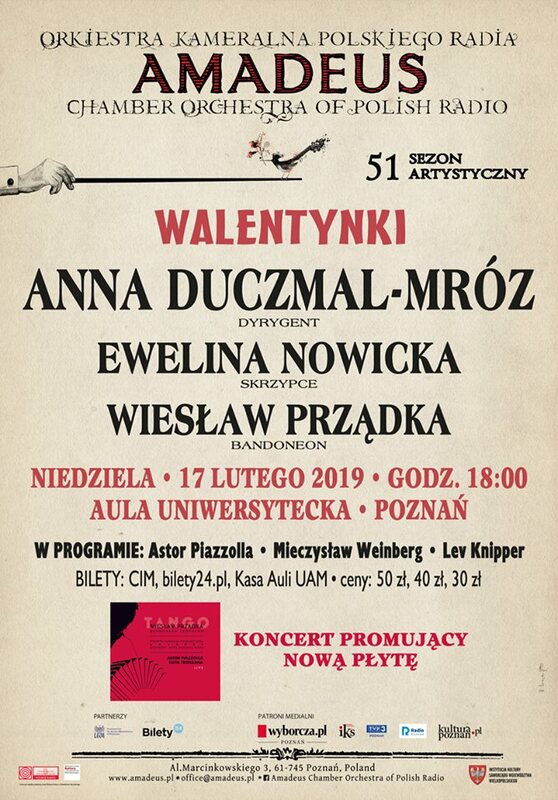 On 17th of February 2019 at 18:00 in UAM Hall Poznan, Poland, I will perform together with Chamber Orchestra "Amadeus" under the conduction of Anny Duczmal-Mróz two works of Mieczysław Weinberg. The programme will include the compositions by Knipper, Piazzolla and Weinberg. My Children Children's Suite for string orchestra has been published by Verlag Neue Musik in Berlin. Score and orchestra parts are now available at Verlag Neue Musik. My Instrumentation and adaptation of Luigi Boccherini´s violin concerto D Major (G486) for violin and string orchestra has been published by Verlag Neue Musik in Berlin. 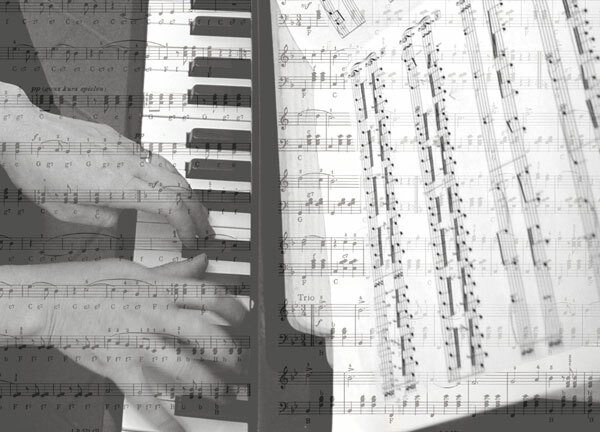 The music sheet is now available at Verlag Neue Musik. My composition Haggada for violin solo has been published by Verlag Neue Musik in Berlin. On 5th of November 2017 at 11:00 in the Museum für Kunst und Gewerbe will take place the Matinee for Illse Aichinger. 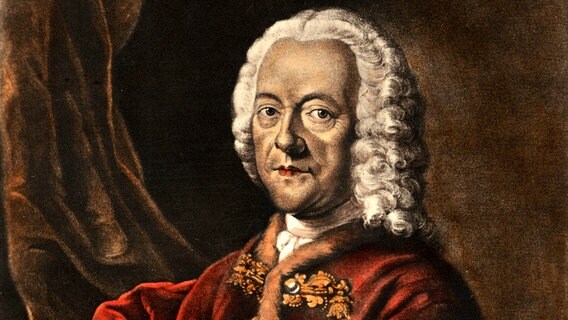 On 1th of July 2017 at 18:00 in the GEDOK Gallery will take place the concert of the 250th anniversary of Georg Philipp Telemann. 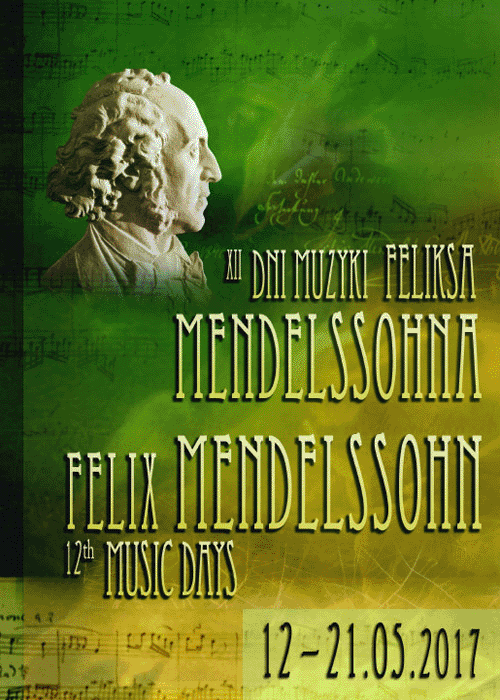 On 20th of may 2017 at 19:00 in the Center for Jewish Culture in Krakow, Poland will take place the concert at the 12th Felix Mendelssohn Music Days. 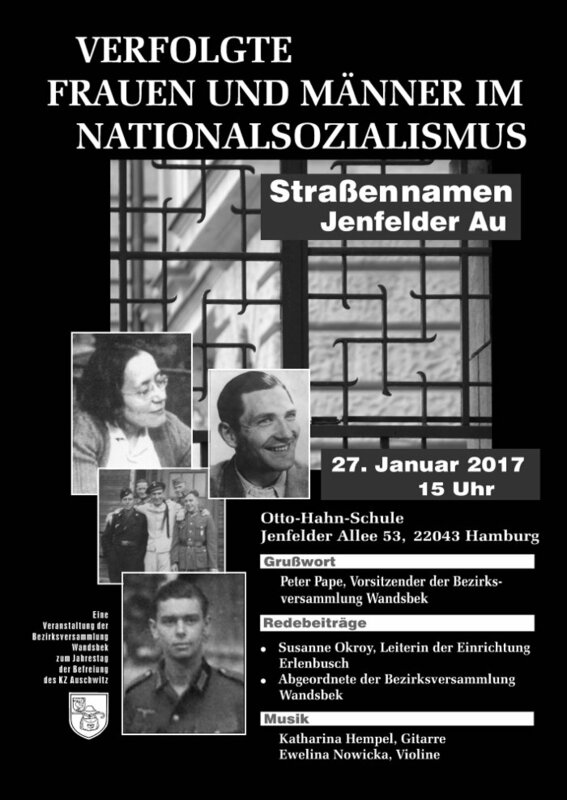 On 27th of January 2017 at 15:00 in the Otto Hahn School in Hamburg will take place the Commemorative event of Remembrance Day for the Victims of National Socialism. On 09th of November 2016 at 18:00 in the Church of St. Nicolaus in Hamburg will take place the DTKV concert commemorating Kristallnacht in 1938. On 06th of November 2016 at . 20:00 in Schwartzsche Villa in Berlin will take place the DTKV concert of "Berlin and the Polish composers – musical dialogue". On 02th of October 2016 at 18:45 in the Church of the Sacred Heart of Christ, Lodz, Poland will take place 7th International Music Festival 'The Word and Music at the Jesuits'. On the 17th of July 2016 at midday (12:00) German Radio SRF 2 Kultur will air a recording of Mieczyslaw Weinberg's Concertino op. 42 for violin and chamber orchestra. 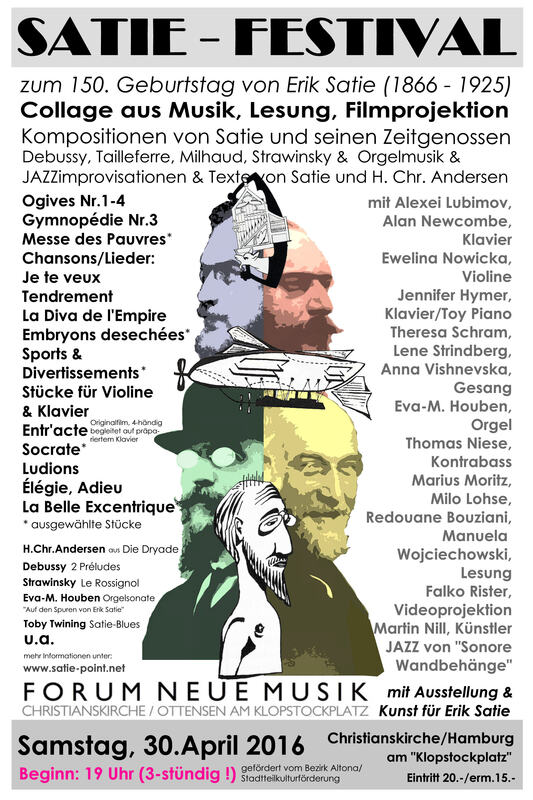 On 30th of April 2016 at 19:00 in the Chistianskirche, Hamburg will take place Erik Satie Festival. The programme will include the compositions by Erik Satie, Claude Debussy, Darius Milhaud, Igor Strawinsky and Germaine Tailleferre. 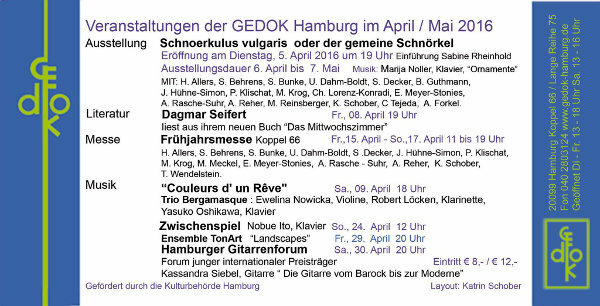 On 4th April 2016 at 18:00 in the Gedok Gallery, Hamburg will take place the concert of Trio Bergamasque. The programme will include the compositions by Jean-Luc Defontaine, Claude Debussy, Joseph Horovitz, Ewelina Nowicka, Daniel Walker, Gernot Wolfgang and Victor Herbiet. 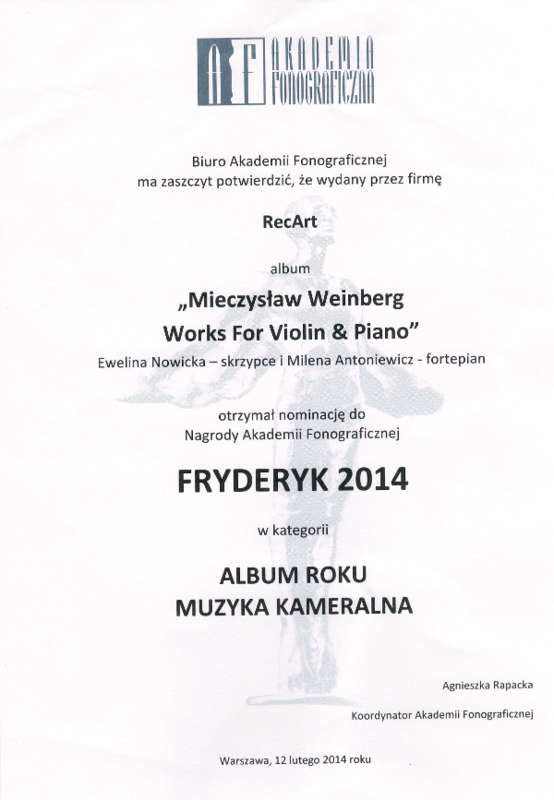 My new CD with the music by Mieczysław Weinberg has been nominated to the Polish Fryderyk Music Award 2016 for the category "Best Polish Music Album". 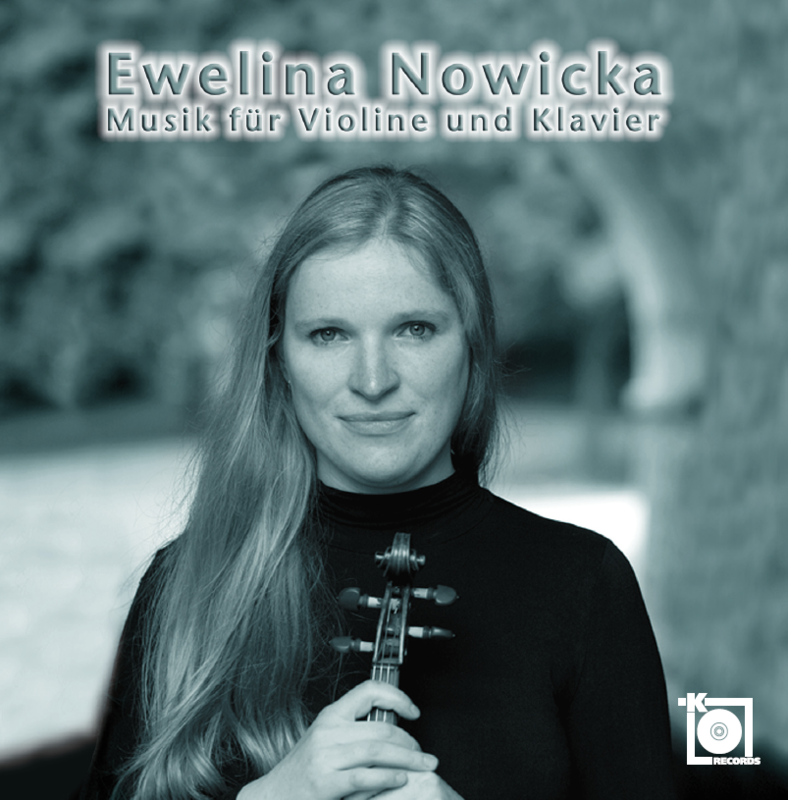 The CD was published by label classic production osnabrück, Germany and includes works for violin and string orchestra. The Fryderyk Awards are presented by the Phonographic Academy which associates nearly a thousand Polish musicians, authors, composers, record producers, music journalists and the recording industry. Polish Radio Chamber Orchestra "Amadeus"
On 20 February 2016, the world-famous violinist, Wanda Wiłkomirska, graced with her presence a special concert in the crypt of St. Mahnmal Nikolai in Hamburg. The event was organized with the help of the Consulate General in Hamburg, the National School of Music (Staatliche Jugendmusikschule Hamburg), the Foundation Mahnmal St. Nikolai (Förderkreis Mahnmal St. Nikolai) and Orlen Deutschland. The initiators of the event were two Polish residents of Hamburg - a flutist and teacher Mariola Rutschka and a violinist and composer Ewelina Nowicka. There were a number of fantastic musical experiences, to include performances by talented students of the National School of Music in Hamburg as well as the winners of the "Young talents - Polish Music" (Junge Talente - Polnische Musik). "Play again. The courage of the children and grandchildren of the Holocaust was to live", documentary by Israel Cesare Moscati will be presented at 30th January 2016 on RAI 2 at 23:30! The music sheet is now available at Verlag Neue Musik in Berlin. A review of my newest CD with music by Mieczyslaw Weinberg for CPO in Germany appeared in the November edition of "Neue Musikzeitung" (11/2015) written by Chantal Nastasi. 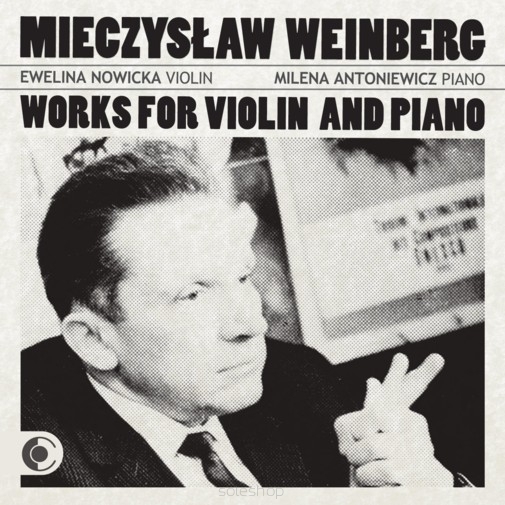 New CD with Mieczysław Weinberg´s music is available. The CD was published by CPO – Classic Production Osnabrück, Germany. 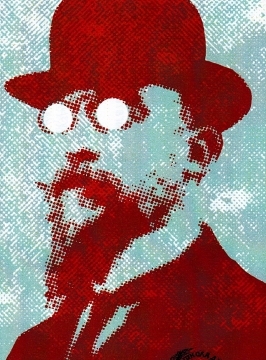 Serenade for Satie - 90th anniversary - with Saties compositions for violin and piano - "Choses vues à droite et à gauche (sans lunettes)", "L'embarquement pour Cythère" and music of his contemporaries: Milhaud, Strawinsky. From 19th June to 5th of July 2016, Hamburg district of Altona will be hosting for the 17th time Festival Altonale. This year the Festival will partner with the city of Gdansk (Poland) that will present their diverse cultural and tourist offer. 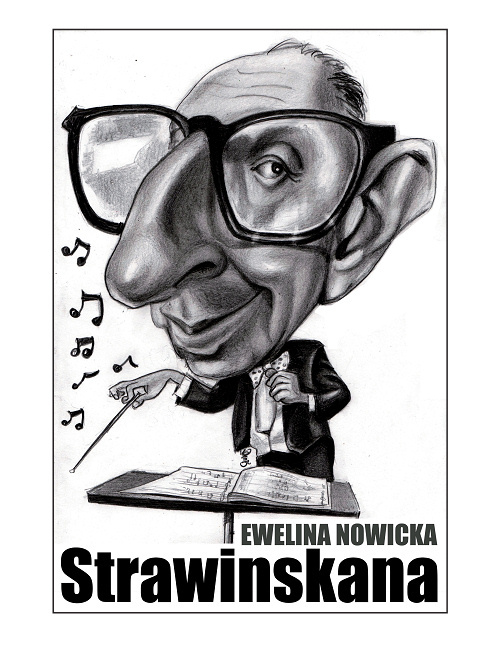 At 23th May 2015 I will play the Violin concerto by Mieczyslaw Weinberg under the conduction of JoAnn Falletta with Cracow Philharmonic Orchestra in Cracow, Poland. The Weinberg Violin concerto will be played for the first time in Cracow. 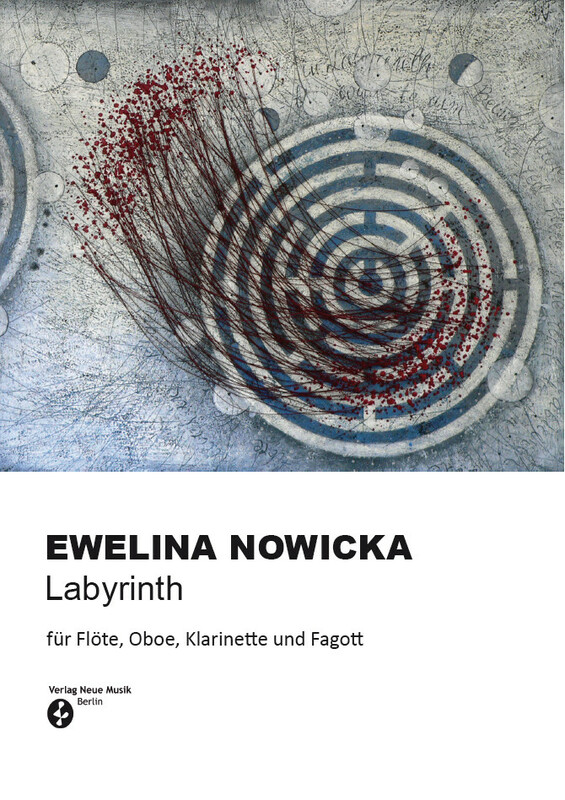 Labyrinth for flute, oboe, clarinet and bassoon has been published by Verlag Neue Musik in Berlin. I am pleased to announce that I have been nominated to the Coryphaeus of Polish Music award [Koryfeusz Muzyki Polskiej] 2014 in the category of the Personality of the Year. The aim of the award is to reward individuals, groups of artists and institutions active in the area of widely understood artistic genre and chronology of Polish music. Coryphaeus is the award established by the music community and granted by that community to the most outstanding musicians. It is a reward for individual creators, artists, musicologists, critics, journalists, humanists, researchers, animators, managers and promoters of culture, groups of artists and institutions, artistic events and a variety of creative, animation and educational projects. 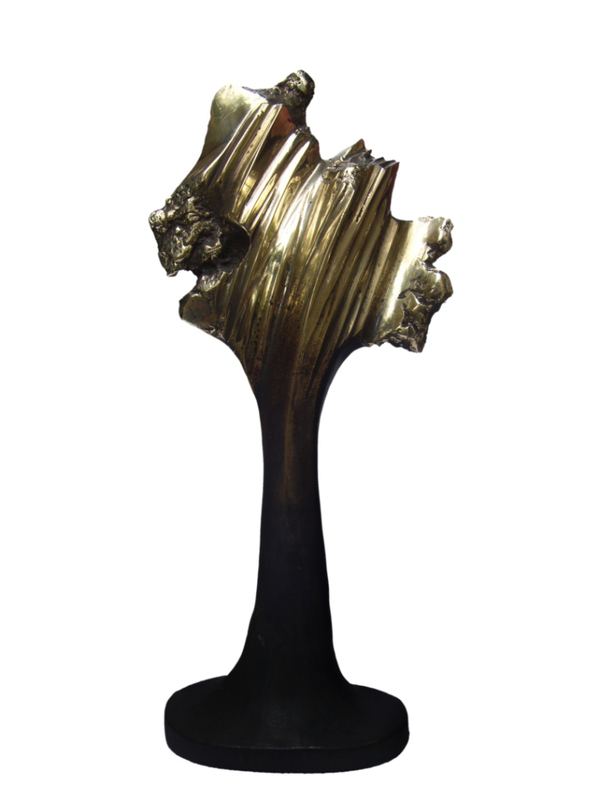 Presentation of the Award shall be held on 30 September 2014 at 19:30 in the Witold Lutoslawski Hall in Warsaw. The polish premiere of Apolinary Szeluto's violin concerto A major op. 98 will be performed within the 22. Probaltica Festival in Torun in may 2014. The piece will be performed by the Torun Symphony Orchestra conducted by Zygmunt Rychert. 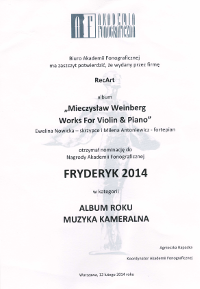 My new CD with the music by Mieczysław Weinberg has been nominated to the Polish Fryderyk Awards. 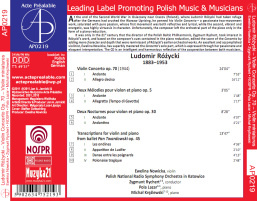 The CD was published by label RecArt in Poznan, Poland. The sheet music now available at Verlag Neue Musik in Berlin. 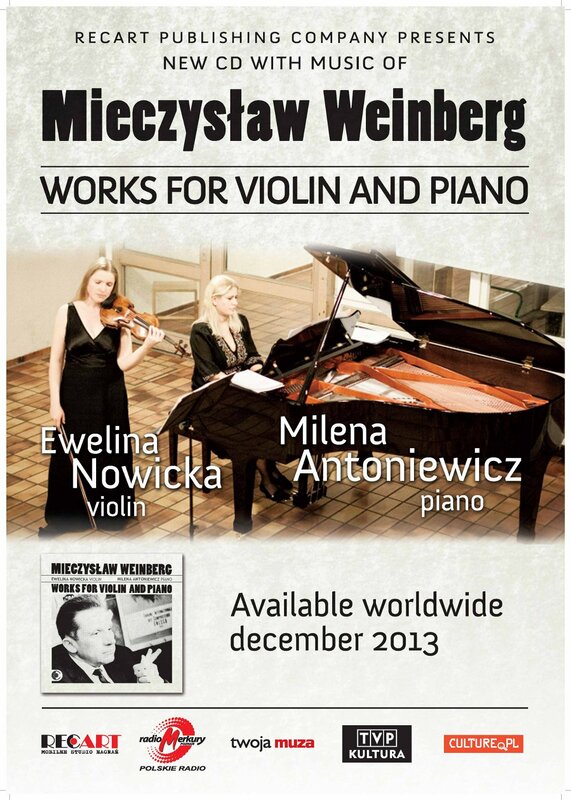 New CD with Mieczysław Weinbergs music for violin and piano is available. 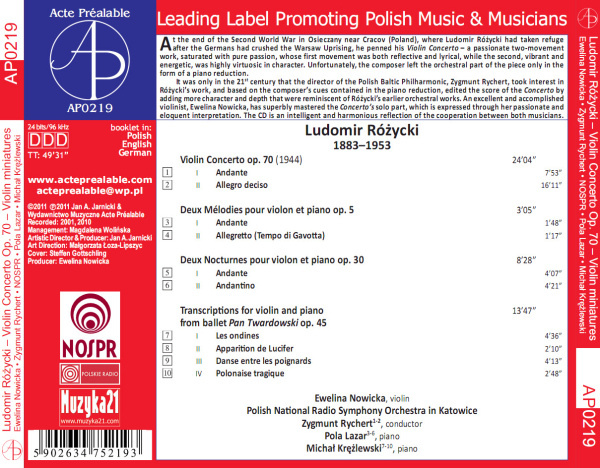 The CD was published by label RecArt in Poznan, Poland. 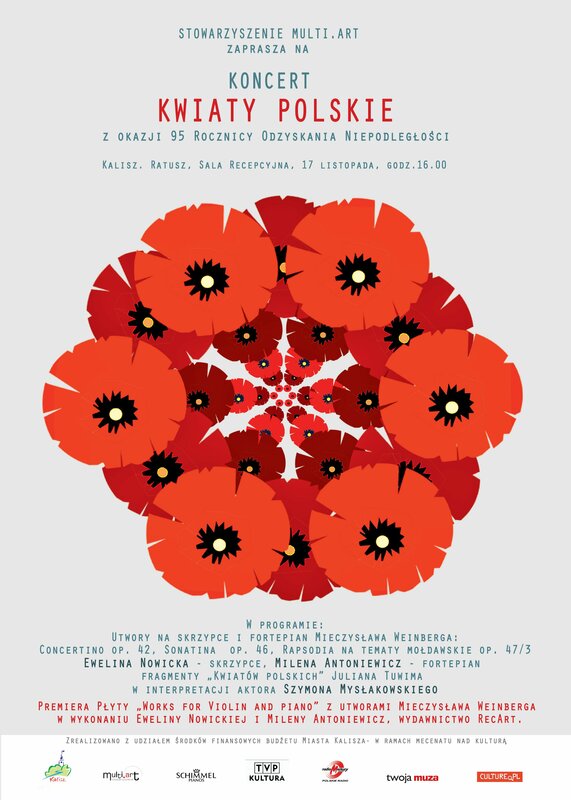 On 17th of November 2013 at the Local Kalisz Town Hall at 4pm there will take place a concert 'Polish Flowers' to commemorate the 95th Anniversary of the Independence Day. The concert is organised by the Foundation Multi Art. The programme will include the compositions by Mieczyslaw Weinberg for violin and piano performed by Ewelina Nowicka (violin) and Milena Antoniewicz (piano). The event is also promoting the most recent record by Nowicka with Weinberg's collection published by the RecArt label in Poznan, Poland. 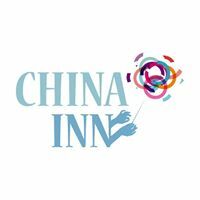 The most recent cultural cooperation between China and the National Music School in Hamburg, Germany has resulted in a six-day China Inn Festival, to take place for the very first time. The event, which will gather over 250 international students from both countries (aged 10-20), will create a rare opportunity for the delegates to compare their varied cultural backgrounds. 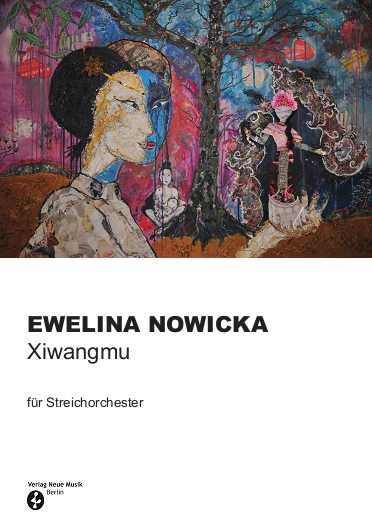 The festiwal will open with two compositions: "Xiwangmu" by Ewelina Nowicka, specially written for the occasion (performed by the violin orchestra), and "The Lecture" by Wang Jue from Bejing (performed by the symphonic orchestra). 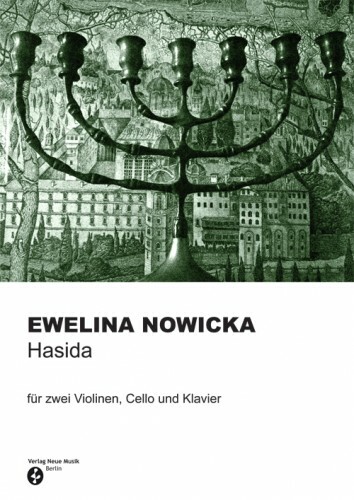 Michal Kleophas Ogínski: Polonaise A minor "Farewell to the Homeland"
Hasida for two violins has been published by Verlag Neue Musik in Berlin. 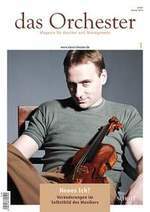 Sikorski Verlag have published my arrangement of Mieczysław Weinbergs Violin concerto in g minor op. 67 (for violin and piano). 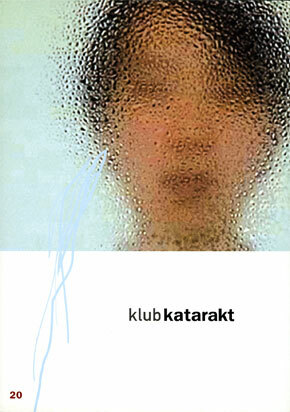 The score is at Sikorski Verlag in Hamburg available. 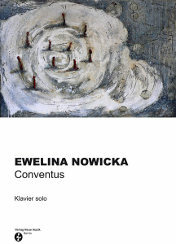 A review of my composition Conventus for piano solo appeared in the February edition of PIANONews magazine (02/2013). In the January edition of the magazine Das Orchester (1/2013) two reviews of my new CDs "Musik für Violine und Klavier" and "Ludomir Różycki - Violin Concerto op. 70 and works for violin & piano" were published by Martin Morgenstern and Eberhard Kneipel. 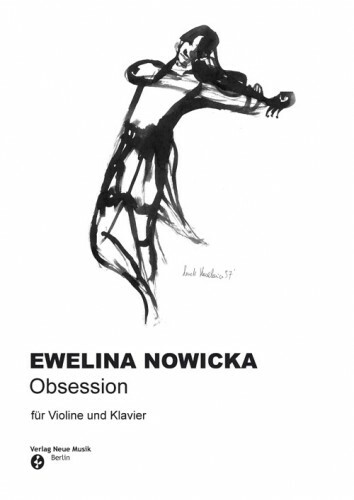 "(...)Nevertheless, the ballet Pan Twardowski, recognised in Poland as a historical masterpiece, gives a suitable impression: four transcripts for the violin and piano, played by violinist Ewelina Nowicka, endow the listener with the charm of fantastic sounds of this story called a Polish Faust rooted in the Polish soul. Two melodies op. cit. 5 and two nocturnes op. cit. 30 for the violin and piano enchant with their melodious charm and delightful contrasts, reveal the mastery creation and richness of references. The insight presented to a lesser extent in precious forms from 1904, blossoms in a magnificent concerto op. cit. 70 - which is a proper introduction to the CD – written by Różycki in 1944 close to Cracow, where he found shelter after the Warsaw Uprising. This masterpiece, which is particularly expressive and combines lyric thoughts of andante and lively impetus of allegro deciso most effectively, was only composed for the piano. 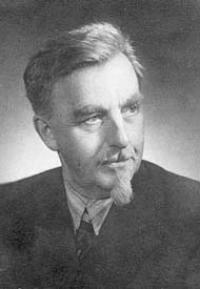 The orchestral part was arranged by Zygmunt Rychert, who standing behind his pulpit plays the role of a competent advocate of Różycki’s music. This way the conductor and fascinating soloist Ewelina Nowicka, with her delicate, warm touch and perfect technique, the magnificent Polish National Radio Symphony Orchestra Katowice, and pianists Pola Lazar and Michał Krężlewski, propose an interpretation which is convincing and reveals deepest involvement. 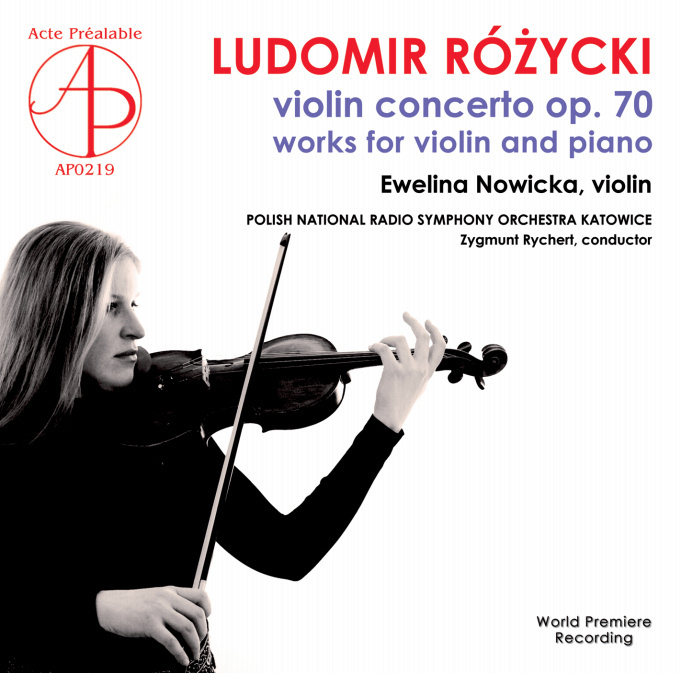 This performance makes the listener want to learn more about Różycki’s work." 07.11.2012 Concert on Independence Day of the Republic of Poland, Karol Szymanowski: "Musical poetry of an independent spirit"
In the September edition of Neue Musikzeitung (nmz 9/12, p.42) a short review of my new CD „Musik für Violine und Klavier“ was published by Max Nyffeler. The disc was issued by Kreuzberg Records in Berlin. 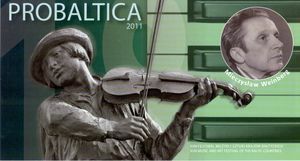 "A thirty year old Ewelina Nowicka born in Gdańsk has been in a comfortable situation because being an excellent instrumentalist she is able to play her own compositions for violin. With energetic and sometimes metallic sound she gives her rhythmically tense compositions a certain shape using a wide selection of articulation and tone colours. In “Kaddish 1944”, in memory of an aunt deported to Auschwitz as well as in „Concerto ebraico“ clearly sounded Polish – Jewish roots. In the space of free swaying melodic and tight motor, the music gains power. Though the process technique never goes beyond the framework of scrupulous craft but still the straightforwardness and vitality are riveting and absorbing." In March my piece "Jongleurs" was played by the "Twiolins" on the German Rhein Neckar Television. 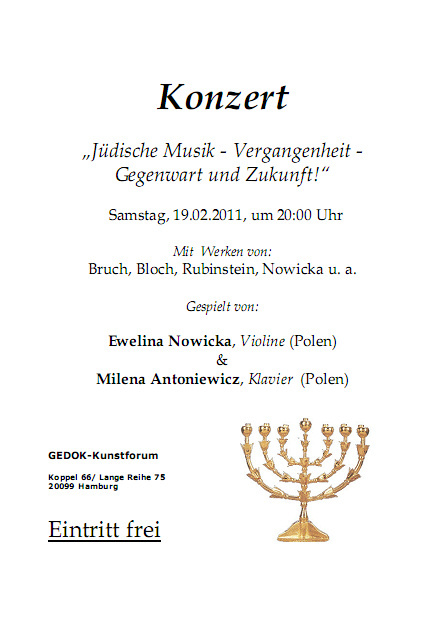 The German Jewish Council is the organiser of Ewelina’s recitals across Germany during 2012. Ewelina and an Jewish pianist Katharina Polivaeva have just qualified to participate in the above 2012 programme, during which, the music goers will have the opportunity to listen to both - Ewelina’s compositions and pieces by forgotten Jewish composers. 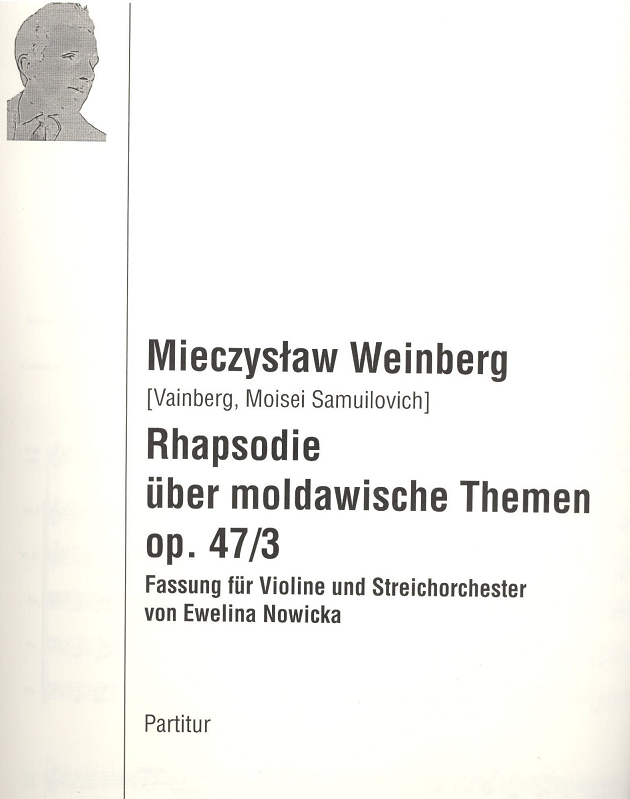 This month Peermusic Hamburg Edition have published my instrumentation of 'Rhapsody on moldavian Themes' for violin and chamber orchestra by Mieczyslaw Weinberg. 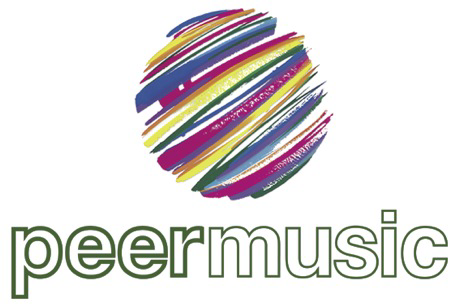 The orchestral score is available at Peer Music. 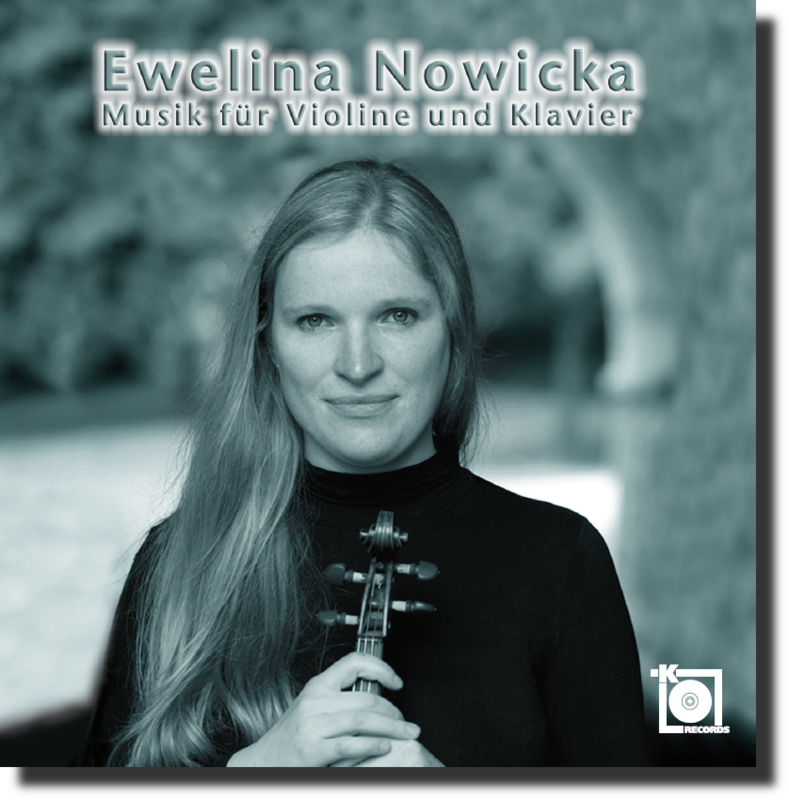 Strawinskana for violin solo has been published by Verlag Neue Musik in Berlin. 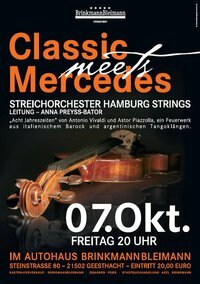 07.10.2011 at 20:00 will take place the concert in Geesthacht with Chamber Orchestra "Hamburg Strings". I will perform the "Autumn" from the "Four Seasons" by Antonio Vivaldi. In August You can find an interview in the Music Magazine "Muzyka 21" about Discovery of violin concertos by Ludomir Rozycki and Mieczyslaw Weinberg. 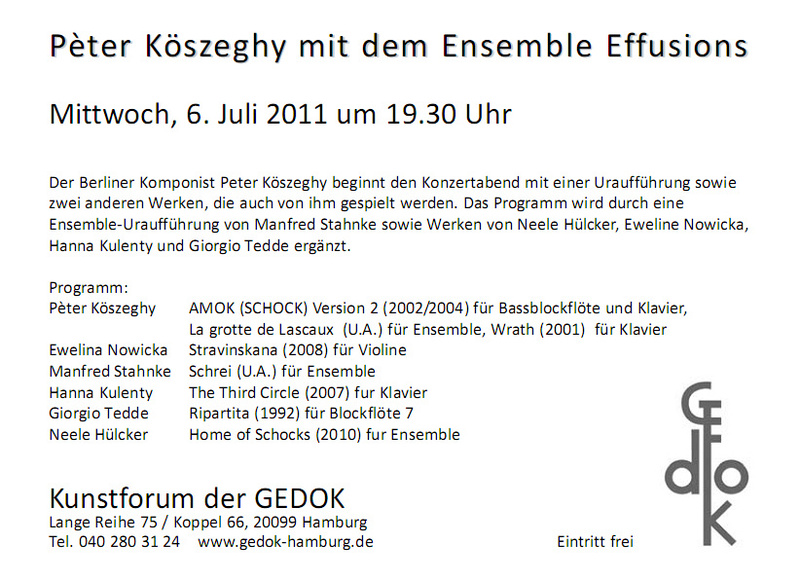 06.07.2011 at 19:30 the Ensemble Effusions will play in the Gedok Galerie Hamburg. At 13.08 - 14.08 2011 the Musica Sacra Festival in Bever takes place. I am playing together with Pola Lazar as Nowicka & Lazar Duo on 13.08 at 14:00 at the concert hall of Rosario in Bever. From 21.05 to 11.06.2011 The International Days of Music take place in Mikolow and Katowice. I perfom Concertino op. 42 and Rhapsody on Moldavian Themes op. 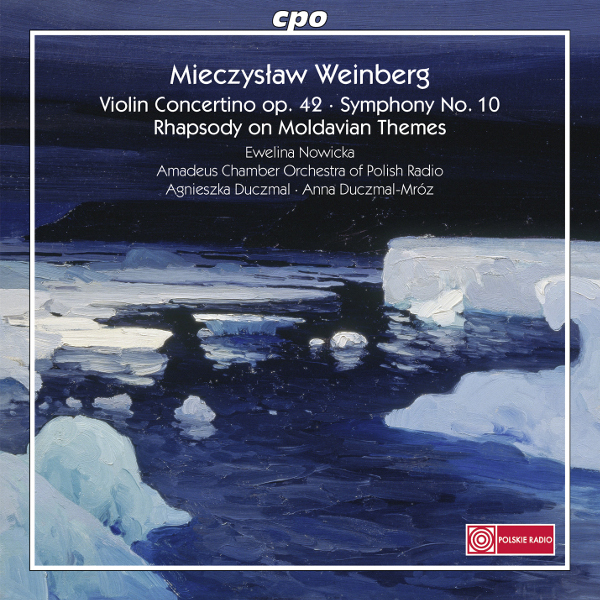 47 by Mieczyslaw Weinberg with "Amadeus", the Polish Radio Chamber Orchestra. The concert is conducted by Agnieszka Duczmal. 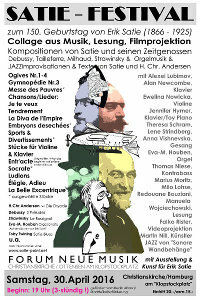 The concert takes place on 03.06.2011 at the Music Academy in Katowice at 19:00. From 01.05 to 15/05/2011 will take place in Torun, Warsaw and Grudziadz Probaltica Festival. This year I was invited to perform the violin concerto by Mieczyslaw Weinberg with the Festival Orchestra under the direction of Dainius Pavilionis. The concert takes place on 03. May 2011 in Torun, Poland. 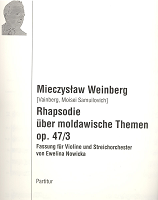 The program of the concert includes other works by Mieczyslaw Weinberg, such as "Rhapsody on Moldavian Themes” Op 47 and Symphony No. 6 op 79th. 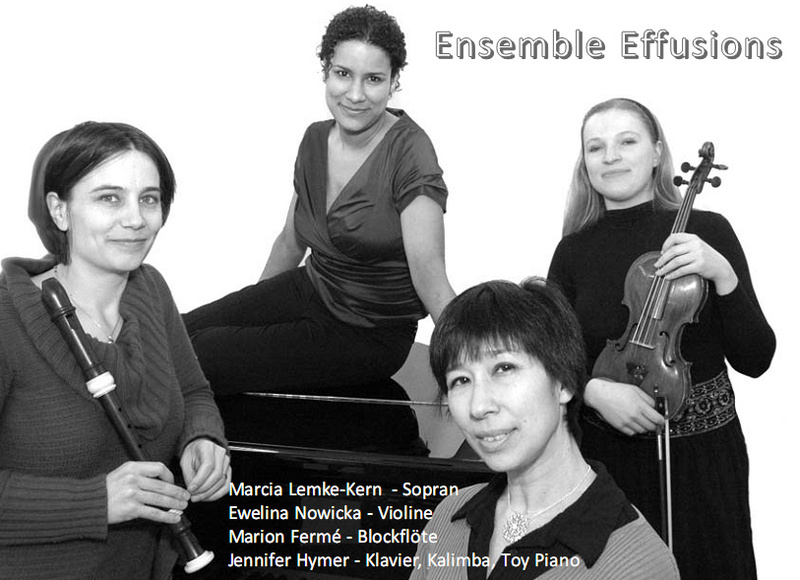 25.02.2011 at 20:00 The Ensemble Effisions will play a concert in the Ev. Luth. Kirchengemeinde Ottensen. S. L. Lemke, G. Hajdu, G. Apherghis and E. Nowicka. Composers and musicians from Hamburg and all over the world, all the latest productions of the katarakt-Netzwerks to date of 26 Hamburg International Short Film Festival. With compositions by Moxi Beidenegl, Jan Dvorak, Robert Engelbrecht, Ignacio Fernandez Bollo, Arturo R. Groleau, Andrei Koroliov, Thomas Leboeg, Ignacio Mendez, Nora-Louis Muller, Donghee Nam, Ruta Paidere, Terry Riley, Kaija Saariaho, Jacob Sello and Juan Maria Solare. 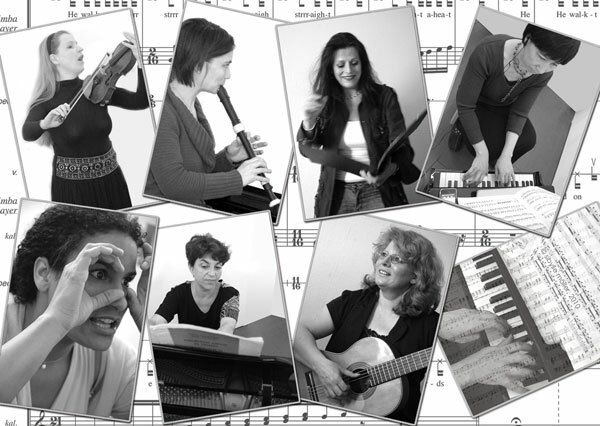 From October 28 - 31, 2010 the International Jewish Music Festival (IJMF) is holding a competition for individual musicians, ensembles and bands that specialize in performing Jewish music with the goal of an international career performing this repertoire. Pianist Pola Lazar and I have the luck to be able to participate in the contest. For the purposes of this competition, “Jewish music” is understood as all musical genres - including classical, liturgical, folk, jazz, pop and world music - in which Jewish elements are clearly recognizable. The competition will take place in the Amsterdam Conservatory in Amsterdam, The Netherlands. Jennifer Hymer,Marcia Lemke-Kern, Marion Ferme, Ewelina Nowicka. Tilla Lingenberg reads her own lyrics to the audience. The sheets are now available for purchase or rent at Verlag Neue Musik. "Between the clown and the fear; through the lamentation, cry and laughter; the lunacy..." Marcia Lemke-Kern (Voice) und Ewelina Nowicka (Violin) with music by Georges Aperghis, W.A. Schultz, H.W. Erdmann and György Kurtag. The New Yorker Story Magazine published this moving piece for the first in 1938; the content focusing around the exchange of letters between a German and an American Jew during the times of Adolf Hitler coming to power in Germany. The storyline about friendship is simple yet dramatic. 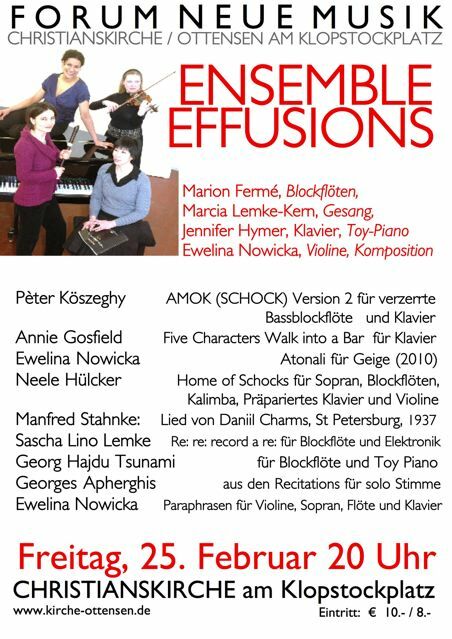 The upcoming performances will take place on 26th and 27th March 2010, both at 8pm in Echtzeit Studio Hamburg (Winterhude). Please join us. On Saturday (24.04.2010) Bremen Music Council will be holding a concert of choirs at Unser Lieben Frauen Kirche at 5 pm. "Unser Lieben Frauen" in Bremen.The choirs, which will perform in Bremen, will also compete again each other in Dortmund in 2010. My pre- premiere of ´The message from Mr Cogito´ will be performed there by Osterchorsteinway conducted by Manfred Seidl. The lyrics used come from Zbigniew Herbert Polish poet, adapted by prof Karl Dedecius. The piece was commissioned by Bremen Association of Choirs for Bremer Kompositionspreis. The German Jewish Council is the organiser of Ewelina’s recitals across Germany during 2010. Ewelina and an Jewish pianist Lana Zilberman have just qualified to participate in the above 2010 programme, during which, the music goers will have the opportunity to listen to both - Ewelina’s compositions and pieces by forgotten Jewish composers. The Grand Final of Crossover Composition Award took place on 18th September 2009. 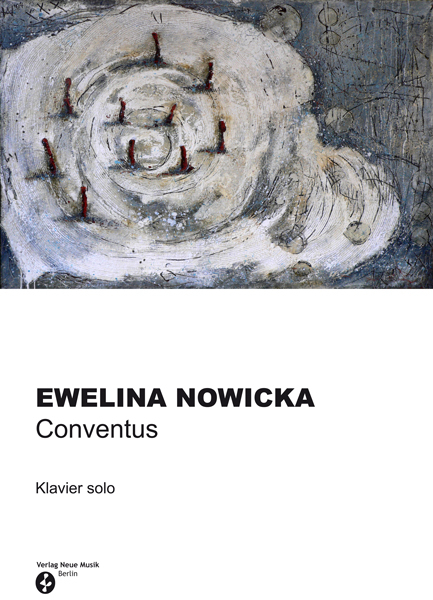 Eighty-two compositions were submitted, with Ewelina’s landing the 6th place. 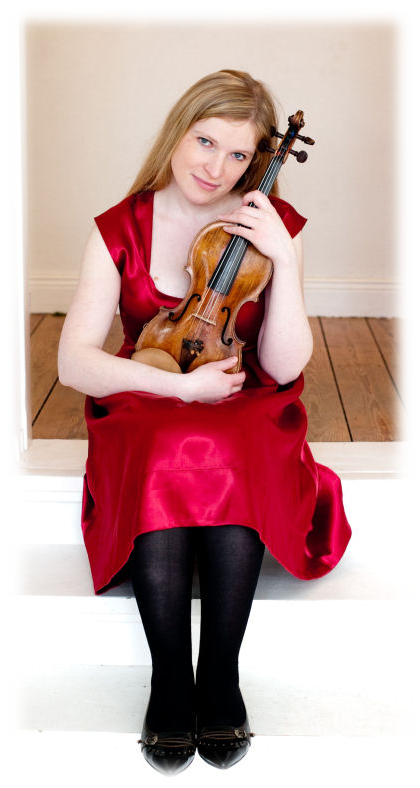 Moreover, her composition entitled ‘The Jongleurs’ (violin duo) was awarded the 5th prize. The following composition will be published by Verlag Ries & Erler in Berlin, Germany.